Kealani Warner and Kristina Anapau star in “Kuleana.” Courtesy photo. Kuleana, directed by Brian Kohne, is the opening-night movie at the Hawaii International Film Festival kick-off in Hilo on Thursday, Nov. 16, 2017, at 7 p.m. at the Palace Theater. The film also stars Stefan Schaefer, Sonya Balmores, Vene Chun and Branscombe Richmond. “Kuleana” is the Hawaiian word for spiritual responsibility. In 1971, few understood the concept of kuleana, as the Hawaiian Renaissance, a reawakening of island culture, had yet to begin and ancient customs and values teetered on the precipice of extinction. In Kuleana, which takes place on Maui, childhood friends Nohea and Kim share a common nemesis: Kim’s father, Victor Coyle, a real-estate developer who blatantly exploits the land and the people he has managed to usurp and control. Ancestral spirits and modern day warriors also contribute to the fight as Nohea and Kim learn the most important lesson: kuleana is not a burden; it is a privilege. Burt Sakata and Hawai‘i State Film Commissioner Donne Dawson. Courtesy photo. Burt Sakata is the production designer for Kuleana and Get a Job, the previous feature comedy from Writer-Director Kohne and Producer Stefan Schaefer. He will attend the Big Island premiere, introduce the movie and be on-hand for a Q&A sessions after the screening. Sakata is also a member of the Protect Kaho‘olawe ‘Ohana since the 1970s. He served as an island commissioner through the 10 years clean-up through 2004. HIFF will be held from Nov. 16 through 19. As the vanguard forum of international cinematic achievement in the Asia-Pacific region, HIFF endeavors to recognize new and emerging talent, promote career development and original collaborations through innovative education programs, and facilitate dynamic cultural exchange through the cinema arts. 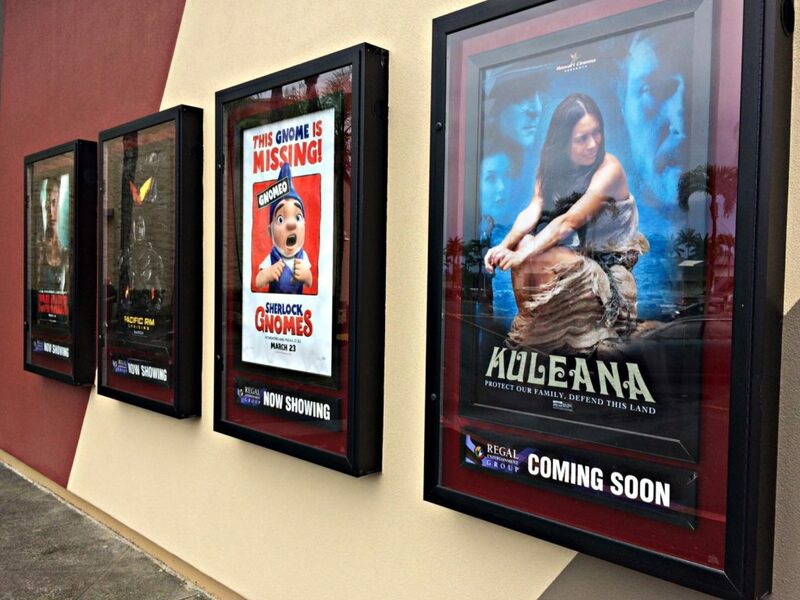 The Palace Theater is proud to be a part of the Hawaii International Film Festival with 10 full-length films and nine shorts to offer this year, including Kuleana. 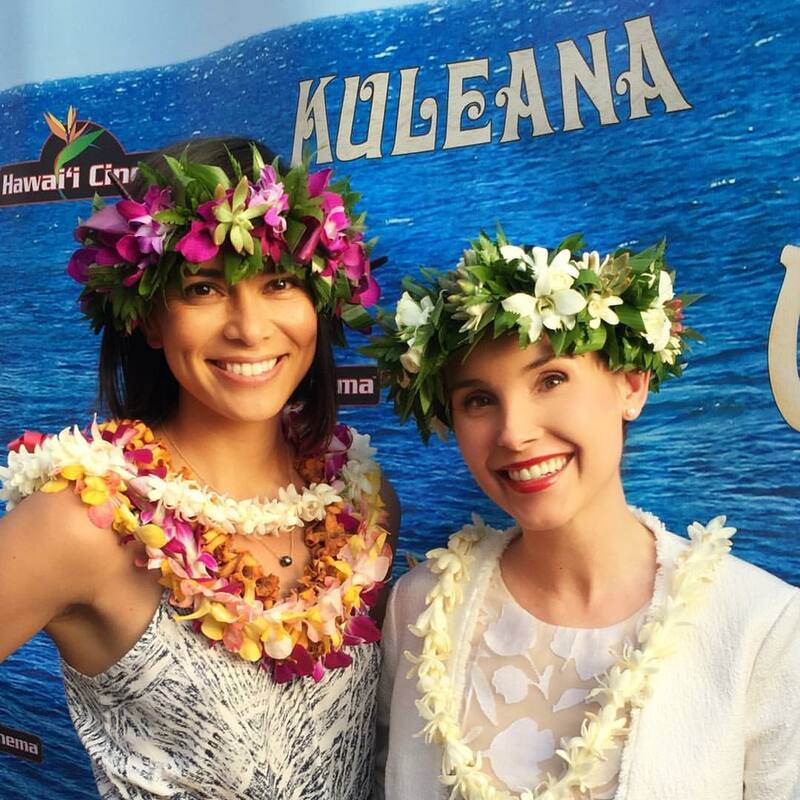 Sonya Balmores and Kristina Anapau at the “Kuleana” world premier at the Maui Film Festival. Courtesy photo. TICKETS: $8 General; $7 Seniors & Students. Purchase a HIFF PASS for $35 and see ALL HIFF films. Tickets can be purchased at the Palace Theater box office or over the phone with a credit card at (808) 934-7010, Monday through Friday, between 10 a.m. and 3 p.m.
Kealani Warner and Big Island native Kristina Anapau at the O‘ahu Premier of Kuleana at the Hawaii International Film Festival. Courtesy photo. Burt Sakata and Hawai‘i State Film Commissioner Donne Dawson (also a member of Protect Kaho‘olawe ‘Ohana) at the O‘ahu Premier of Kuleana at the Hawaii International Film Festival. Courtesy photo. The theater is located at 38 Haili St.